Three Tier Oracle Security in London ~ Paul M. Wright » sec_return_server_release_banner Secure by Default? Congratulations to Sentrigo for being nominated again in the SC Awards in the US for Hedgehog. 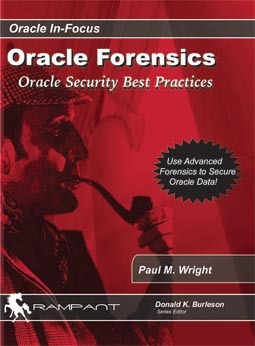 Just came across an ex-colleague from Pentest Ltd named Simon Fletcher who has started a blog on Oracle Security. “The default value of sec_return_server_release_banner is TRUE” at this URL. --that looks more like what I was expecting... so..
Then have to reboot of course. Ok so the release banner is actually insecure by default but on the positive side the additional secure config params in 11g are an improvement…but these are all still icing on the cake which is currently sitting on a Java Jelly. Talking of release banners Slavik has observed that Oracle sends a RESEND after every connection attempt perhaps in an attempt to interfere with version identification. Will have a look at this later. I note there is an Oracle Security event in Manchester on the 11th March though check first on the business/technical balance. Have a good week and keep safe and secure.